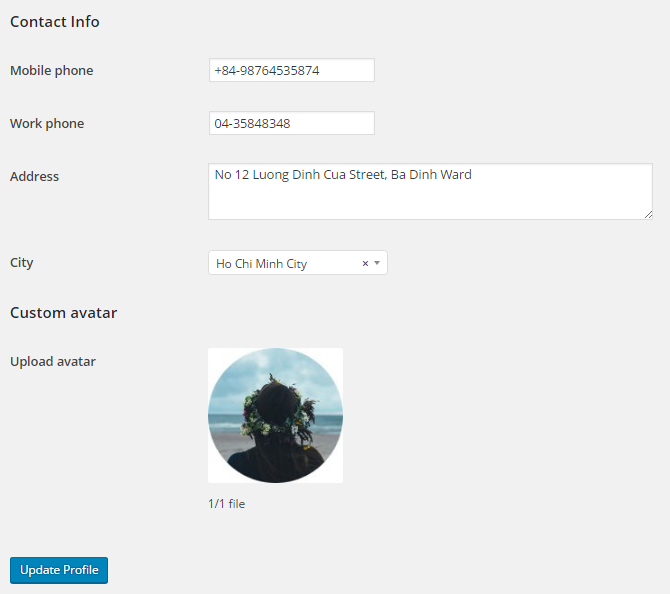 MB User Meta is an extension for the Meta Box plugin which allows you to add custom fields to user profile like user address, user billing info or custom avatar. With MB User Meta, you’re able to add and edit a lot of additional information for users or customers. Please note that the extension works only on the back end. 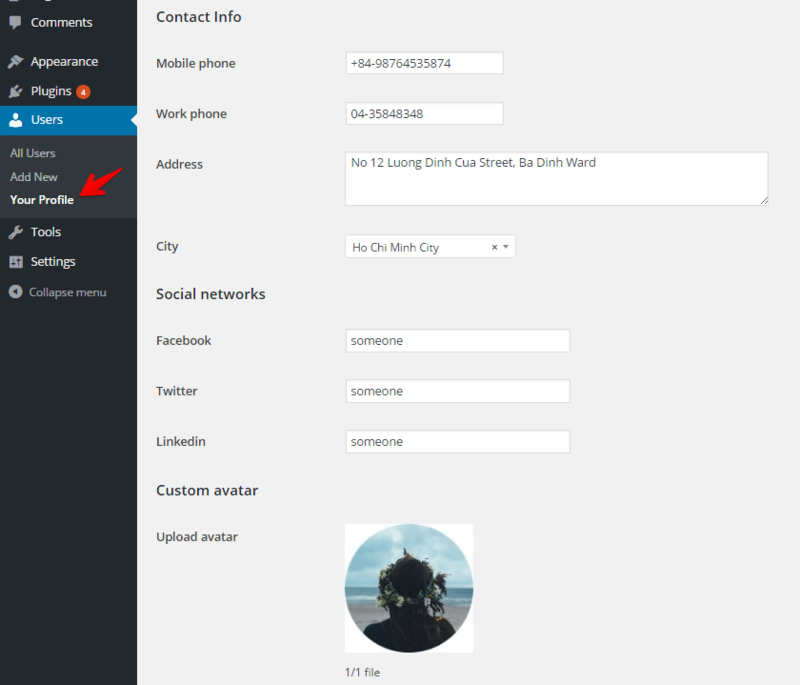 If you want to edit user profile on the front end, please see MB User Profile. Registering custom fields for user is similar to posts. See this documentation to know how to create a meta box, and this documentation to know how to define fields. The only difference here is when you register a meta box for user profile, you need to specify a parameter 'type' => 'user'. That’s all! WordPress provides an identical way to store values in the meta tables for post / term / user. This extension utilizes that API and stores field value in the user meta exactly like post meta. $image_ids = get_user_meta( $user_id, $field_id, false ); // Media fields are always multiple.